Burning Moon's Inside advice: Glass Garden at Butterfly Wonderland. Glass Garden at Butterfly Wonderland. 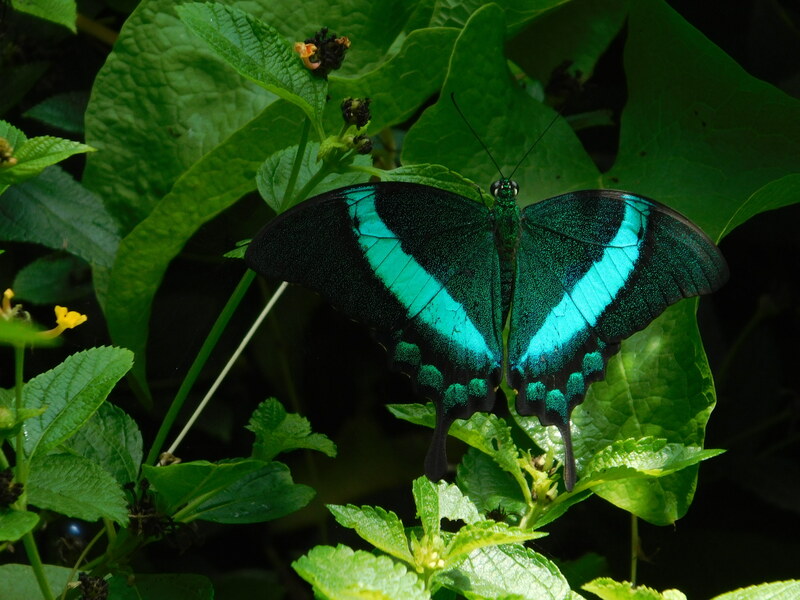 Have you heard of Butterfly Wonderland? 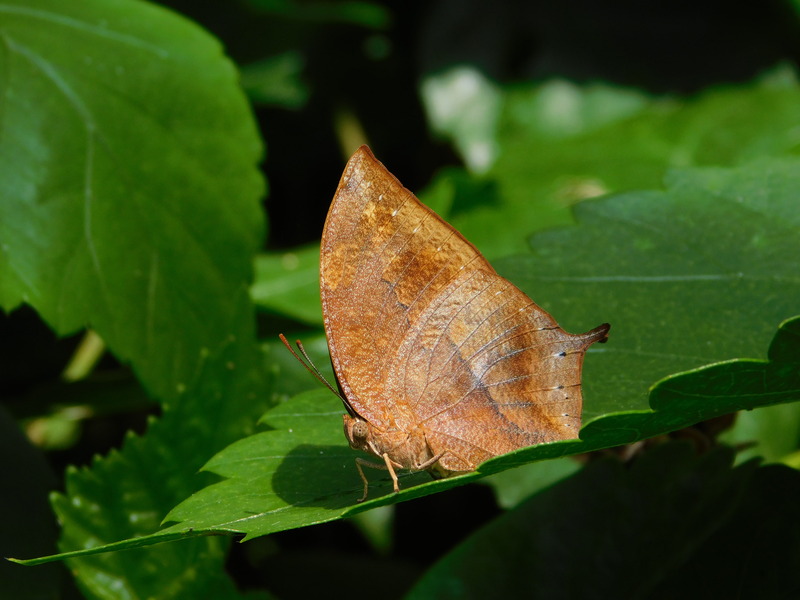 It is a unique rainforest experience in Arizona that gives you an up close experience with dozens of butterfly species and plants. While attractions such as Butterfly Wonderland are always enjoyable to visit it is kind of like the zoo after a few visits it all starts to feel a little like the same thing so it is wonderful when they add exhibits, host events, etc. to spice things up. 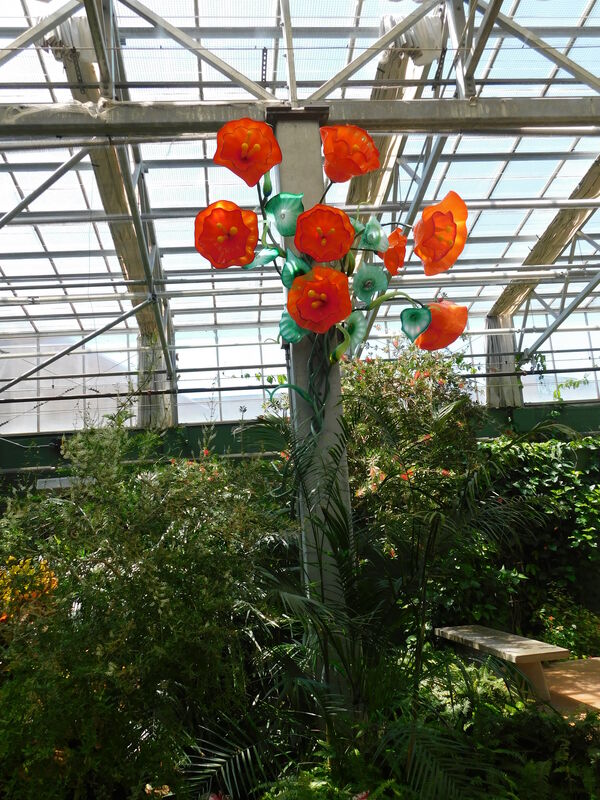 At the moment Butterfly Wonderland is hosting 'The Glass Garden' which is an exhibit on the local artist Newt Grover and his glass works of beauty. 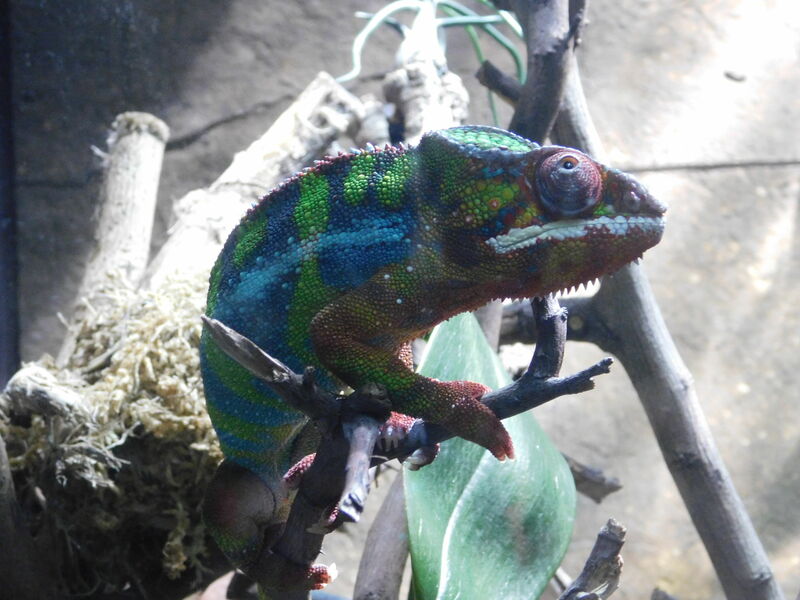 Plus if you are like me and haven't been there a while (it's been a few years for me) they also have added a great reptile section plus they still have their bee hive, insects and fish. Each piece being shown was created especially for the rain forest conservatory where they house their butterflies. The glass pieces blend in and intertwine with the plants and trees beautifully and naturally. I suggest arriving when they first open, Arizona can get pretty hot as is and they keep the conservatory a bit humid with misters to keep the butterflies and birds happy, towards the end of the day you may sweat a bit so beating the heat is a great idea. I've shared a few of the pieces above but I will leave the rest to be discovered when you visit the Butterfly Wonderland. The experience as a whole is quite unique and is well worth the price especially if you are a big fan of butterflies, you get to see them in various stages and you get to get up close to them. 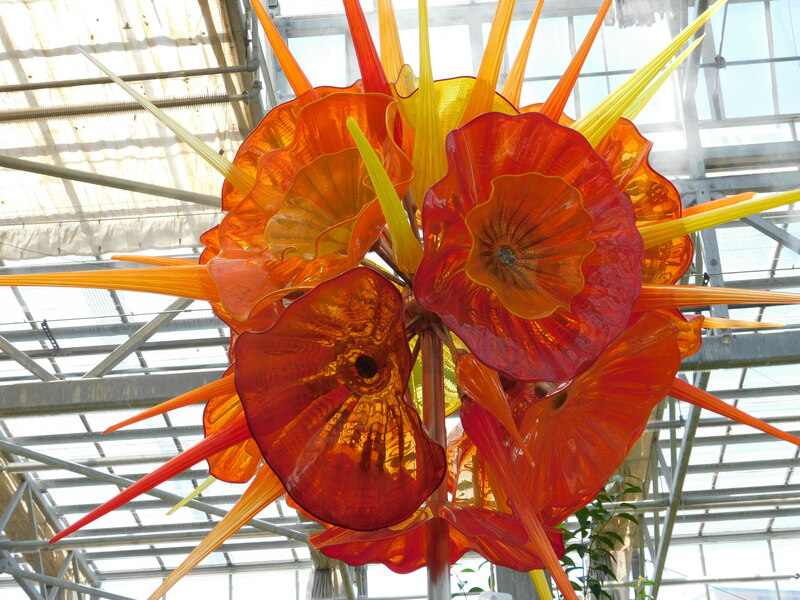 The Glass Garden is being featured for a limited time so check it out while you can! 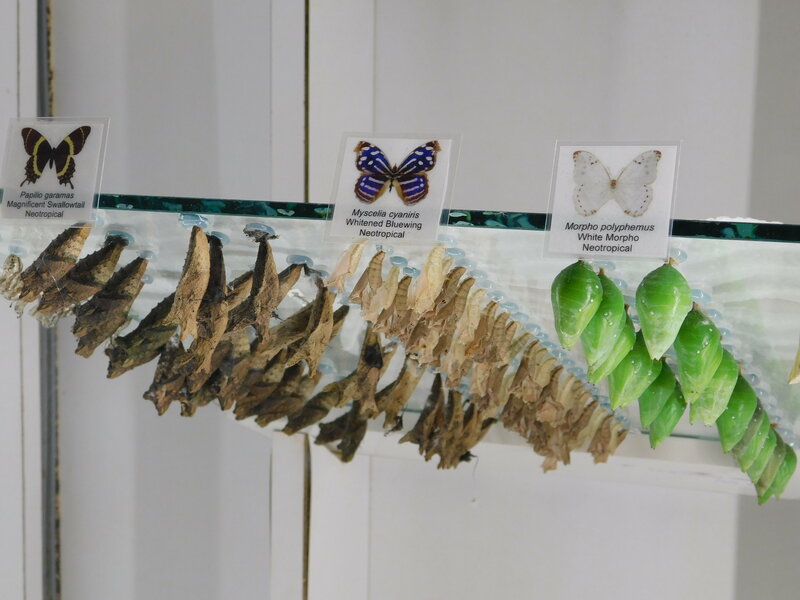 Even if you miss the glass garden I suggest heading out to check out Butterfly Wonderland anyway because there aren't many changes to be around this many species of butterflies. If you are lucky enough one might even land on you, and many will fly very close to you so you'll be able to make out all of their fine details. Tickets are $23.95 per adult and $15.95 for children, however they also offer combo passes (with Odysea Aquarium, Mirror Maze, etc) and they offer yearly passes. I'll call this a very honest review . Thank you for showing the lights over there, surly if I happen to visit Arizona, I'll surly check out. I love butterflies. I've been to many garden with butterflies, this one is good. thanks for sharing. I've never heard of this place before! Thanks for sharing the info. Love the photos. This looks like a cool place to visit. Thanks for sharing! My son would love these butterflies! Thanks for this post, I like it when people keeps it �� real with their followers. OMG! That's would be heaven for us! I love exploring Arizona and I will definitely add the Butterfly Wonderland to my trip itinerary. What a beautiful place to be! thanks for sharing details! This looks like a beautiful place to visit! I wish there was something like that near me. My kids would love it there! They are fascinated with butterflies. Would love to visit, looks amazing! Are the animals made of glass too or are they real. I can't tell. 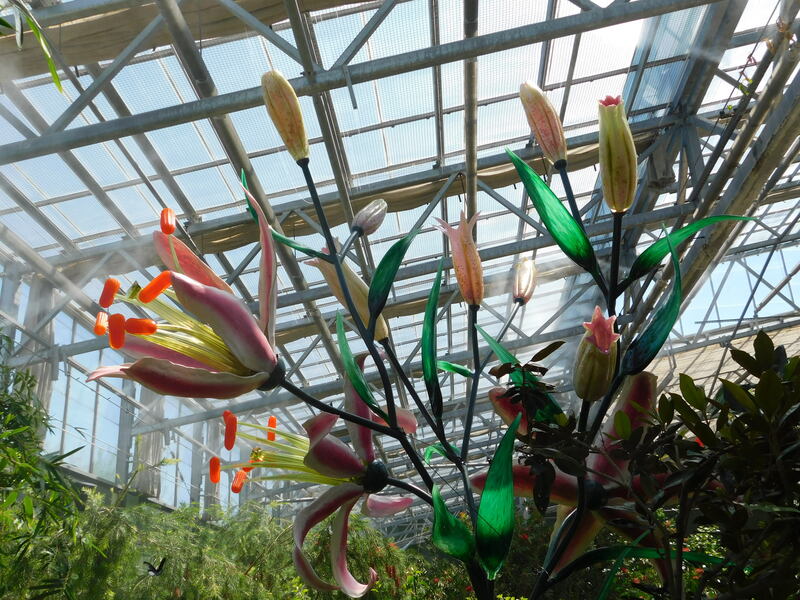 How beautiful are these glass flowers. The butterflies are so lively. Some fantastic art is on show here. Glass work has always intrigued me as an artist. Wonderful to see how it has been manipulated! Though I do prefer real life butterflies. Thanks for sharing! This is a lovely show, very artistic and nature-friendly!